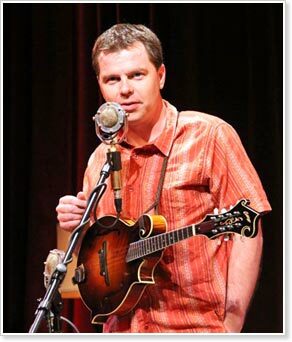 Julian, Calif. — Internationally acclaimed mandolin player and educator Brian Oberlin will lead this year's mandolin track at the Julian Music Camp, held April 8-12. During his 12-year professional career, Brian has performed swing, bluegrass, and Italian classical as a solo mandolinist and vocalist. Along with the myriad of award-winning bands and ensembles he has collaborated with throughout the United States and Europe, Brian is also the founder and director of the River of the West Mandolin Camp and Oregon Mandolin Orchestra. The acoustic string music camp in Julian is known as the Julian Family Fiddle Camp, and is for fiddlers, mandolinists, guitarists and old-time banjo players of all ages and abilities. Those who manage to secure a place at this once-a-year event enjoy great food in a beautiful rural atmosphere, and the company of others who come from all over the globe to participate in the experience. The Julian Family Fiddle Camp is held at Cedar Glen, a full-service rural retreat center that sits at the foot of the beautiful Volcan Mountain Wilderness Preserve. In addition to a full schedule of classes, workshops and evening concerts, there is ample opportunity for hiking and other activities. The facility offers bunkhouse accommodations, as well as sites for RVs and tent campers. B&Bs abound in and near the historic gold mining town of Julian. Those interested in attending the Camp are encouraged to register as soon as possible, as class size is limited.